Position Objective: As an advanced intern, you will strive to lend a hand to and learn about PETA's Emergency Response Team. 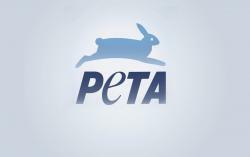 During this internship, you'll jump right in as part of one of PETA's most fast-paced and critical departments, the Cruelty Investigations Department (CID). You will get in on the action and see firsthand the immediate impact that our work has on the lives of many animals. Not a resident of Virginia? We offer housing for our interns so don’t let that keep you from applying! The Typical Day of a CID Intern: • Unfortunately, cruelty cases are always pouring in, so a big part of this internship is helping to route incoming correspondence and transcribing telephone calls that could end up in official reports. • In order to gain the most experience, you will be working alongside CID staff members to provide responses to calls for assistance and e-mails. You'll learn how to handle these tough situations. • Some cases require a lot of research, so it's expected that you'll be ready to learn how to track down information on miscellaneous cruelty-to-animals and neglect cases. • From time to time, some information on a case will be tossed your way and we'll look to get your help with note-taking. • This internship does involve some hands-on work with animals, as we'll need help with basic animal care and feeding. Who doesn't love a good dog walk or giving animals some TLC? • Part of your day could consist of administrative tasks, which are necessary to the continuation of our work for animals. • Of course, you'll also perform any other duties assigned by the supervisor. Qualifications: • For starters, you'll need at least a high school diploma or GED in order to be eligible to apply. • Situations out in the field are very unpredictable, so you'll need to have a strong stomach and know how to keep your cool in tough situations. It's not easy seeing injured animals, but you'll need to be ready to help in a heartbeat. • Exceptional organizational skills and attention to detail will help you keep everything on track, so résumés with grammar or other errors will be rejected. Sorry, but we can't risk it. • Consider yourself to be great at keeping secrets? Great, because we need somebody who can keep confidential information just that—confidential. • Many people say that they "thrive under pressure," but this position is a true test of that. We take on multiple cases at a time, and lives depend on us! 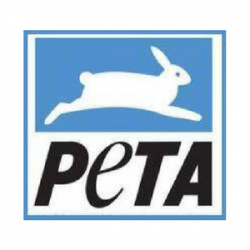 • You must support PETA's philosophy and have the ability to professionally advocate our positions on issues. • Naturally, you'd need to be committed to the objectives of the organization.